For more about using podcasts with students, sign up for my DigitalEd training this Wednesday, where I’ll offer more tips about how to break out of the traditional lecture-and-paper model. Sign up here: How to Use Podcasts in the Classroom. While planning my fall classes a couple summers ago, I realized I was sending my students a mixed message. While I told them to be creative and innovative in their work, I was still teaching core communications skills the same way I learned them years ago, when the internet was in its infancy. So I decided to start “practicing what I preached,” and turned to podcasts to teach skills in a way that sparks student creativity. The topic possibilities, like the number of podcasts, are endless. 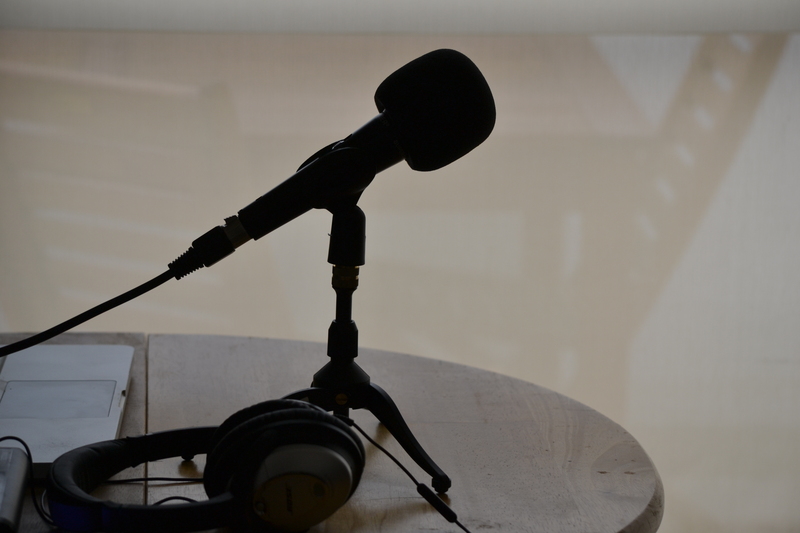 Creating podcasts is simpler than it may seem: All you need is a smartphone and laptop. Apple’s Voice Memos app and the Android equivalent both record high-quality audio without the need for an external microphone. The files can easily be emailed or uploaded to Google Drive and edited on free programs like Audacity. There are many websites and YouTube clips showing how to use it, and I’ve found students, even those with zero production experience, can put together a good-quality podcast with a few hours practice. While podcasts can work for many types of assignments, I’ve found they’re especially well-suited to teach three key communications skills. The “audio story” assignment forces students to tell a story without verbally “telling it.” We start by listening to podcasts like Twenty Thousand Hertz, which is about sound design and everything that goes into creating effects like 8-bit video game bleeps and the sound of a closing car door, and Song Exploder, which breaks down popular songs track-by-track to help understand the power a single sound clip has to express emotion. Then, I use an assignment modified from one designed by Professor Richard Stroobant from SAIT Polytechnic in Canada. Students pair up and randomly choose a one-sentence story prompt I provide — things like “a groom gets cold feet,” or “a driver crashes into a tree while texting.” Then they create the narrative using just six sounds: at least one sound they recorded directly from the environment (like a car horn), at least one sound they find in a free sound effects bank like freesound.org, at least one sound they created using Foley techniques (like running in place to simulate a chase), and a single spoken word. This forces students to plan out a logical beginning-middle-end structure to their stories, and have narrative flow without the “crutch” of words. At the end of class, we listen to the stories to see if other students can guess the scenario, assessing how well each group told their audio-only narrative. To be a great storyteller, you must be able to ask well-formulated questions in order to get emotional and engaging quotes or sound bites. But many students feel uncomfortable going up to someone they don’t know and asking questions. To get over this fear, I have them practice interviewing using the StoryCorps app. It leads users through the interview process step-by-step, providing an introductory script, suggested discussion topics, and suggested questions like, “Do you believe in love at first sight?” The conversation is automatically recorded, and is easily downloaded for editing. Students then listen to StoryCorps and This American Life, paying special attention to how the episodes are structured. I want them to hear how the reporter lets the subject tell his or her own story. The host comes in to provide background details and structure the podcast in a narrative form. But most of the story is told by the person who lived it. Then, it’s the students’ turn to create their own interview-based narrative. They record a conversation with someone about a turning point in his or her life and use those clips to tell a narrowly focused audio narrative about that event. The idea is to combine the interviewee’s audio with the student’s storytelling, resulting in an audio vignette full of emotion, surprises, hero vs. villain struggles and a moral or lesson for the listener. After listening to these shows, students choose a common object and tell a story about it using in-depth library or online research, along with recorded natural sound, interviews, and descriptive writing. The idea here is to tell an engaging story while at the same time teaching the listener something they don’t know. This is the final assignment in the course, because I expect it to combine strong research, interviewing, sound editing, and storytelling skills in a final showcase podcast. In addition to these three examples, I also use podcasts to teach legal and ethical issues using the Startup podcast, which looks at the issues facing startup companies, and S-Town, which has come under criticism from ethicists. I teach fiction writing using the Myths and Legends podcast, which tells fairy tales in the original non-Disney way with a dose of modern snark. And I teach broadcast performance by having students listen to a range of voices, from the eclectic, Mystery Show’s Starlee Kine, to the traditional, John Dickerson’s Whistlestop podcast. Ben Bogardus has been an assistant professor of journalism at Quinnipiac University in Connecticut since August 2010. He specializes in teaching media and broadcast news writing, TV reporting and TV newscast producing. He also oversees QNN – a weekly newscast produced, reported and anchored by senior journalism majors. Before entering academia, he was an award-winning newscast producer at TV stations in Florida, Texas and Washington D.C.